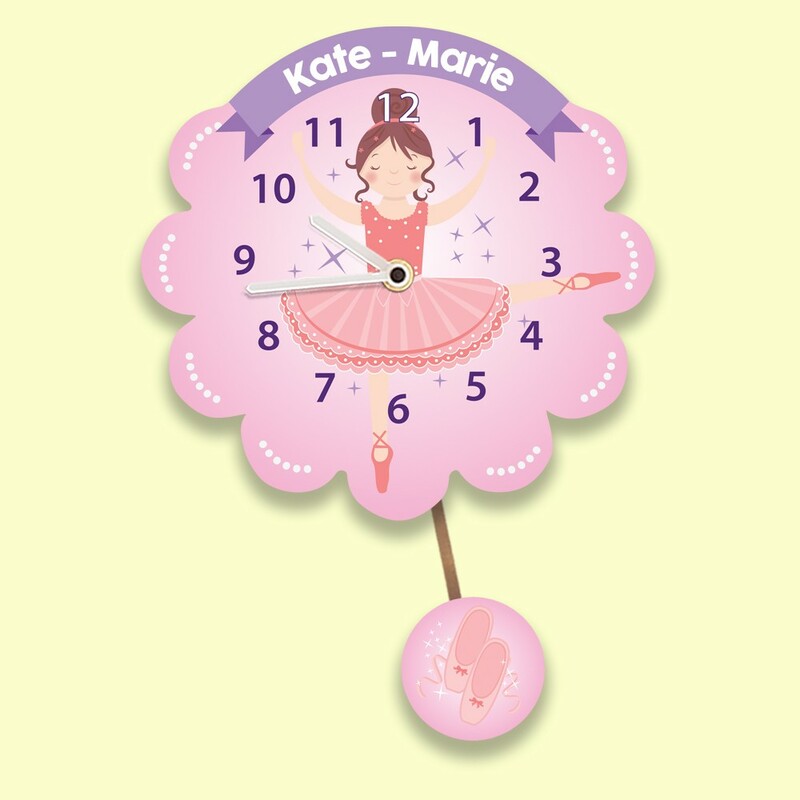 Little Ballerinas will adore this magical wall clock in their bedroom or nursery. Not only will it add a touch of sparkle, it also makes learning time fun! They will love to see their name printed on to it, and the swinging pendulum adds a novel touch. 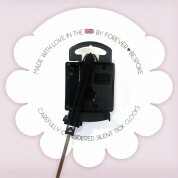 It features a silent tick mechanism, making it perfect for a baby's nursery. Our little ballerina is carefully in position in front of a pink back drop. As she dances, sparkles appear around her, and the crowd go wild! A purple banner above her has space for any girl name. There is even room for two first names if the children share a room. The clock is designed and made in the UK and features a quality German Quartz movement which compliments the quality of the British design and manufacture. Our silent clock makes the perfect gift for any child or baby's special occasion – first birthday, Christening, Dedication or even for starting school. It will add a pop of fun and colour to any room! Other designs are available.